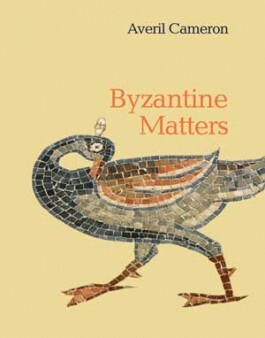 Averil Cameron, Byzantine Matters, Princeton University Press, 192 pages, ISBN-10: 0691157634, ISBN-13: 978-0691157634. Release date: April 6, 2014. For many of us, Byzantium remains “byzantine”- obscure, marginal, difficult. Despite the efforts of some recent historians, prejudices still deform popular and scholarly understanding of the Byzantine civilization, often reducing it to a poor relation of Rome and the rest of the classical world. In this book, renowned historian Averil Cameron presents an original and personal view of the challenges and questions facing historians of Byzantium today. The book explores five major themes, all subjects of controversy. “Absence” asks why Byzantium is routinely passed over, ignored, or relegated to a sphere of its own. “Empire” reinserts Byzantium into modern debates about empire, and discusses the nature of its system and its remarkable longevity. “Hellenism” confronts the question of the “Greekness” of Byzantium, and of the place of Byzantium in modern Greek consciousness. “The Realms of Gold” asks what lessons can be drawn from Byzantine visual art, and “The Very Model of Orthodoxy” challenges existing views of Byzantine Christianity. Averil Cameron is professor emeritus of late antique and Byzantine history at the University of Oxford and former warden of Keble College, Oxford. Her books include “The Mediterranean World in Late Antiquity”, “The Byzantines”, and “The Later Roman Empire”.